← Food Warrior Interns Step Away From Their Cameras (Briefly) and Into the Kitchen! “The more I worked there, the more left-winged my food politics became” Marks asserts. Frustrated by the conglomerate mentality to produce cheaper, faster, and “less real” food, Marks took the sudden dissolution of the firm as an opportunity to find a way to make food as good as he possibly could again. Marks looks back; now AtlantaFresh is the largest buyer of Johnston’s milk. Johnston Family Farms provides all-natural grass-fed milk, produced right on the farm. Flavor additions of cooked natural fruits are added next, and then the yogurt is distributed into 6 oz, 16 oz, or 32 oz containers and finally labeled and packaged. From farm to adorably designed cup, the entire process takes approximately 36 hours. 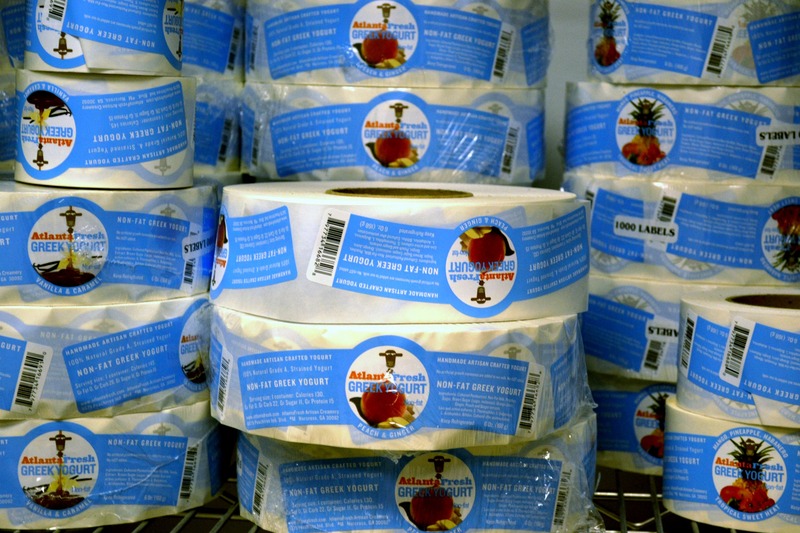 This freshness is what makes AtlantaFresh yogurt so different and special from other yogurts. It’s not the same heavy thickness as typical Greek yogurts, having a consistency closer to regular yogurt, but still maintaining that smooth creamy taste. 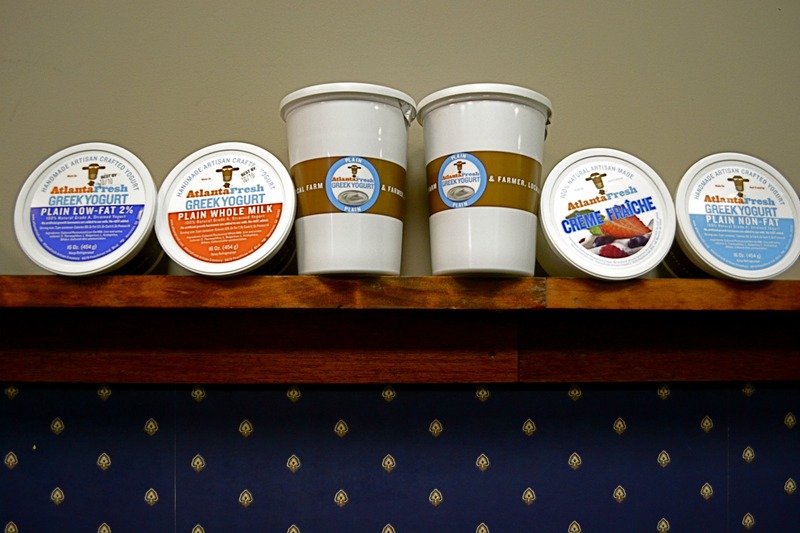 The flavor profiles, all developed by Marks himself, also set AtlantaFresh above the rest. Ginger Peach, Black Cherry Port Wine, Wildflower Honey are just a few of the mouth-watering staples. Marks expressed excitement to release his newest flavors this spring: Maple Bacon and French Roast Coffee. small dairy producers on homesteads in the north, fueled Marks’ desire to fill that missing niche in the southeast. have a chance to meet the man behind the yogurt. This entry was posted in Food Warrior Interns, In the Pantry (food artisans) and tagged atlantafresh, georgia organics, greek yogurt, lauren ladov, Real Time Farms, Slow food, yogurt. Bookmark the permalink.